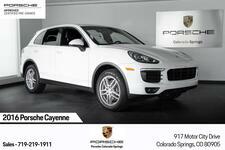 Certified Pre-Owned 2015 Cayenne S with twin-turbo V6 engine in Moonlight Blue Metallic over Black Leather interior. 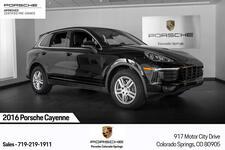 This low mileage Cayenne S came to us from an out of state client that has been taking great care of the car and the overall condition shows it well. 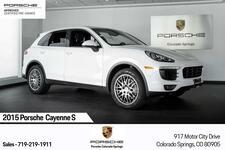 The Cayenne S came well equipped with an MSRP of $79,475 and now it has Unlimited Mileage Certified Pre-Owned Warranty until November 16, 2020. 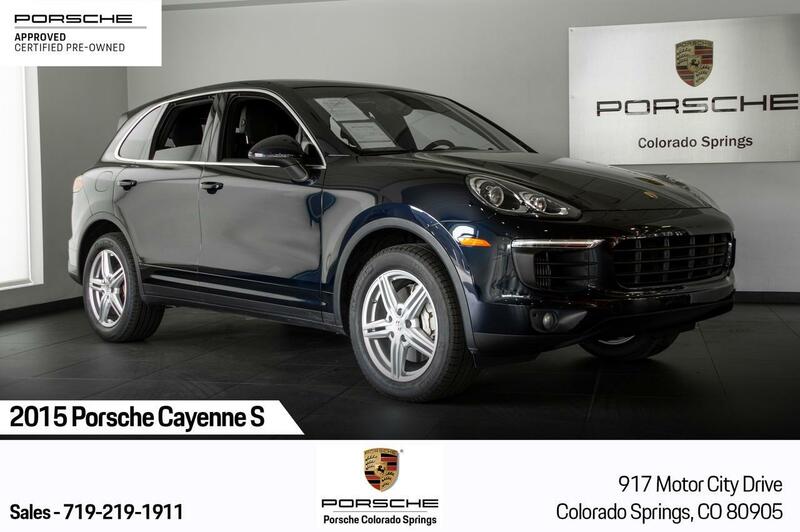 Our Factory Trained Technicians just completed the 111-Point Certified Pre-Owned inspection to ensure the Cayenne is as like new as it can be for the next owner. We just serviced the car including the full 4 Year / 40,000 Mile Maintenance consisting of Oil and Filter Change, New Cabin Filter, and the 2 Year Brake Fluid Flush was done at the same time. 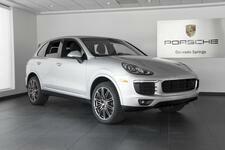 We also replaced all 4 Tires and performed a 4 Wheel Alignment during the Certified Pre-Owned inspection.